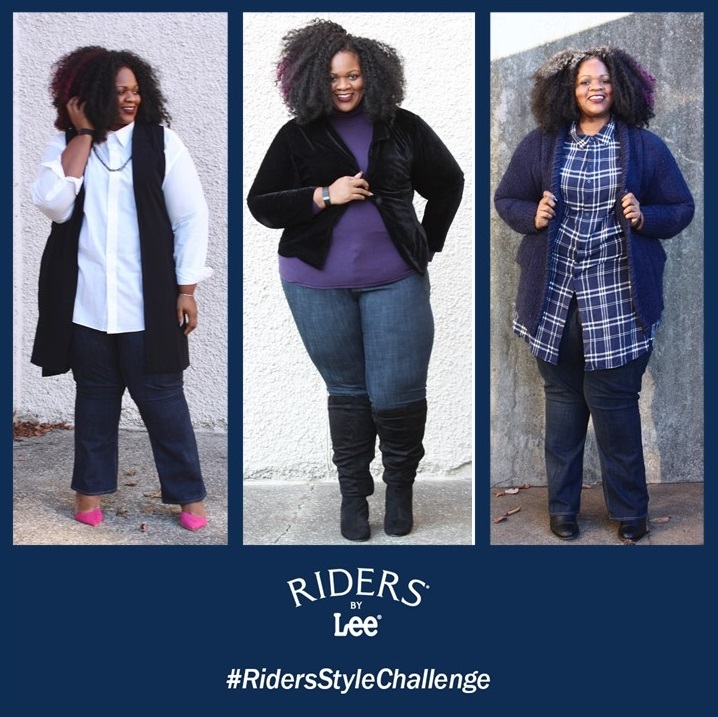 I was so excited to be contacted by the Rider by Lee jeans team! 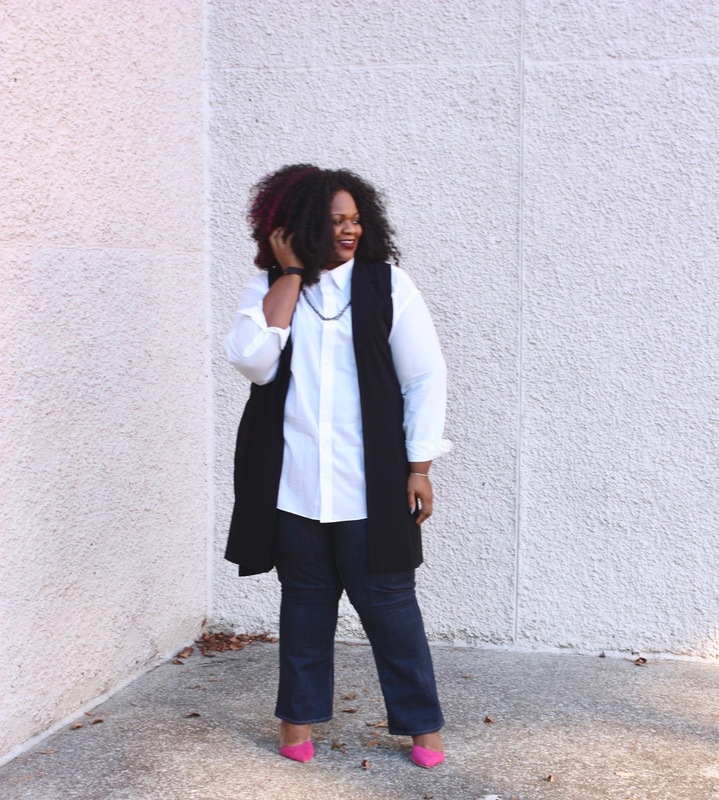 The Riders by Lee team wanted me to show you how to style their amazingly affordable jeans. Of course I had to hook y’all up! 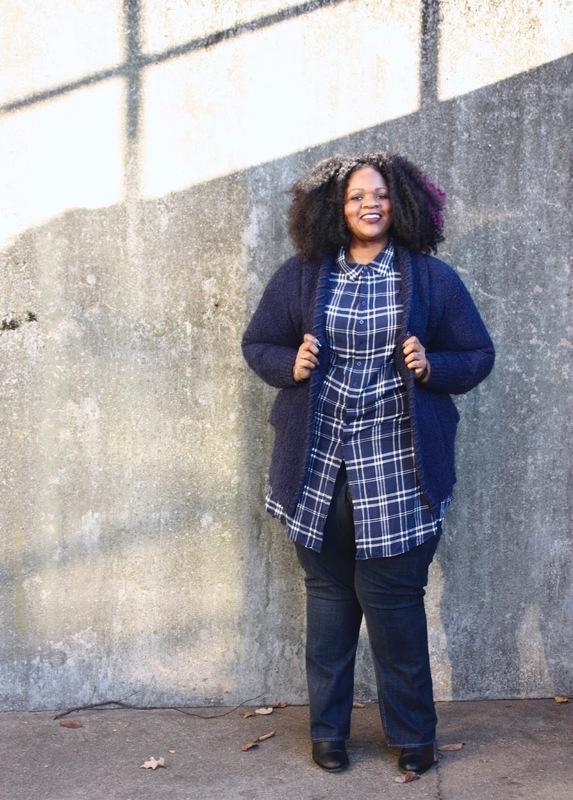 I came up with three ways to style my boot-cut jeans. Let me tell you, I was really surprised by the fit! I carry my weight in my hips & thighs, I thought for sure these jeans weren’t gonna look good. Riders by Lee proved me wrong. Riders by Lee offers great denim for an affordable price. 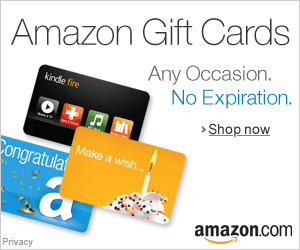 You can find their Misses and Women’s jeans at your local Kmart, Walmart, and JCPenney. They have jeans, shorts, and capri styles (plus tops and skirts for misses sizes). Basically, if you are trying build a foundation for a new wardrobe, you may want to start with a new pair of Riders by Lee Jeans. The look above is my Casual Friday look. I thought I’d hate the bootleg cut, but I’m loving it. This was a great way to add comfort and chicness to the office. Can’t beat that! 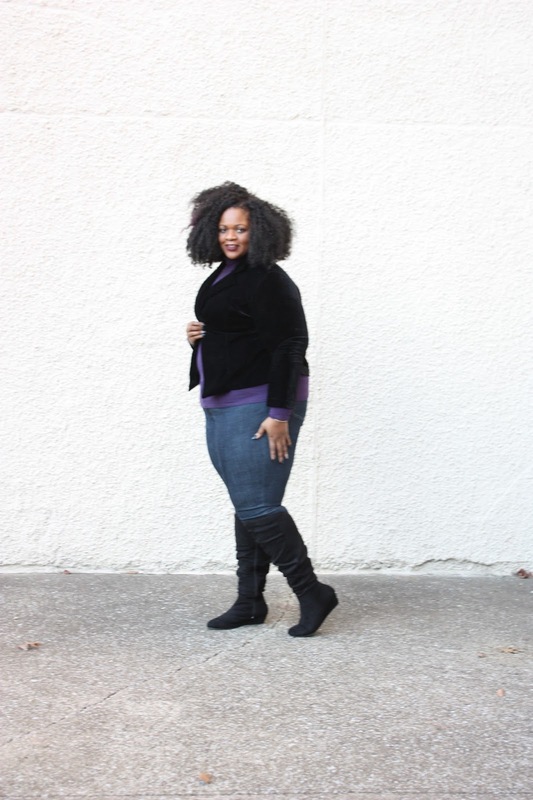 I paired my jeans with this velvet jacket for a cute Date Night look. No one would know that my bootcut jeans are hiding under my knee boots. Super cute right? Lastly, I came up with this simple look to run errands. Ok, I have to admit, the Riders by Lee team got me re-thinking my weekend plans. I wouldn’t lie to you, these jeans are pretty fly. So, do you want to win a pair of Riders by Lee jeans? Well, vote for me (by liking my photo on Facebook and Instagram)! You’ll win a pair of jeans and I’ll win some more jeans! We all get JEANS!